As I was wandering aimlessly through the aisles at my local Wal-Mart (mainly because there isn't much else to do in my small town), I came across these puppies and thought... "I can use these for all of the stations I do in my classroom throughout the year!" Anyone who knows me, knows that I am obsessed with organization, efficiency and cleanliness. So this idea was a no-brainer for me! 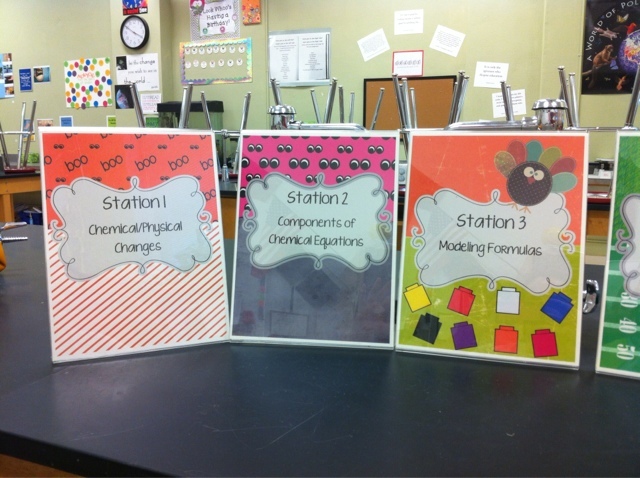 These document holders have really changed the set-up for labs and station rotations that I do in my science class. 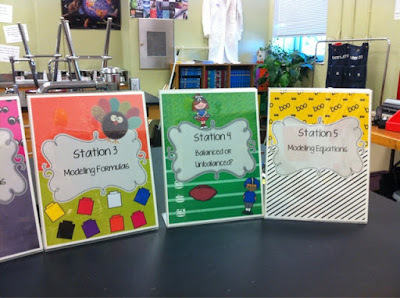 In the past, I would print out instructions for each lab station and laminate. Then I would either tape it to the sink faucets on the lab tables or tape them down to the lab tabletop. Either way, within a few periods they weren't looking too hot. This has completely eliminated that problem. And as an added bonus - they look great and the kids love them. Since they aren't getting destroyed, I don't mind putting a little extra effort into how they look. 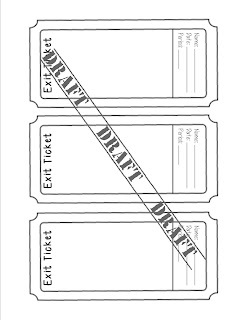 I can file these away for next year and simply change them out with the next document that needs to be displayed. Now that's an efficient use of my time! These particular signs go along with my 8th grade CSCOPE Unit 4: Review Stations that I'm doing tomorrow (hence the Halloween/Fall themes). This week, my students are starting PHYSICS!! I'd love to chat with some other Texas teachers who are utilizing the 8th grade CSCOPE curriculum. 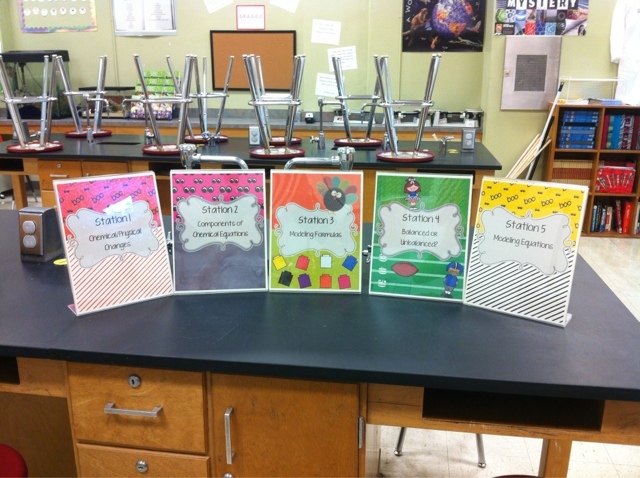 I think the improvements made this year are vastly better than last year's curriculum. I still have to supplement quite a bit, but I anticipate the work load decreasing as the years progress and the amount of changes diminish. For those teachers who are required to post objectives and guiding questions, I encourage you to start visiting my Teachers Pay Teachers site. As the new CSCOPE units come, I will be posting some signs I've created that include the guiding questions. I already write the objectives on my board (and leave them up over the course of the unit), but I wanted a way to easily change the associated questions that students should be able to answer, depending on the particular lesson. I am going to purchase a thick black ribbon and hot glue tiny clothespins (from Wal-Mart) down the length of the ribbon. Each clothespin can hold a different Guiding Question sign and they can be easily changed out as needed. I plan on hanging this long ribbon on my board, right next to the area where I post my daily objectives. As soon as my crafty project is completed, I'll take some pictures and share. As I begin to plan my next unit on physics (forces and motion), I thought I'd share some videos I found. Watch Circus Physics: Newton's Laws of Motion on PBS. See more from Circus.